A city famed for its wealth, glitterati and affluence, if you spend any length of time staying in Marbella you'll quickly realise there's far more to the area than first meets the eye. A settlement which dates back many centuries, there's fascinating history and culture which jostles side by side with the modern glamour and glitz. To present a more balanced look at Marbella and what's on offer, here's an A-Z of some of the most fascinating facts and statistics. Until the 1950s Marbella was considered a mainly industrial area. Alfonso von Hohenlohe is credited with buying up many estates and triggering the change which transformed the city into the tourist and holiday resort it is today. There are a great number of pristine beaches in and around Marbella, but five of them have been awarded the Blue Flag. This is a certification which recognises not just the cleanliness but the eco-friendly qualities too. In Marbella it's not uncommon for a shot of alcohol to be served directly after a meal; this is known as a chupito and is typically made of the spirit Orujo. There are few people who wouldn't be delighted to see dolphins in the wild but that's exactly what's on offer in Marbella. Take a dolphin-watching trip out into the ocean and you could see these wonderful creatures as nature intended. Although Marbella is part of Spain, you will find that English is spoken by nearly everyone so you won't have any problems conversing if you can't speak Spanish. Other languages which are commonly spoken include Dutch, German, French, Arabic and Russian. Marbella is a place that likes to celebrate its festivals in style, with modern celebrations such as the Marbella International Film Festival <INSERT LINK TO Marbella International Film Festival> as well as the more traditional Feria San Bernabé, the occasion when the patron saint of the city is honoured. Marbella is golf-crazy with 21 golf courses in the region. This makes Marbella the place with the greatest concentration of golf courses in the whole of Spain…possibly Europe! The range of courses is excellent with sea views and night playability both on offer. 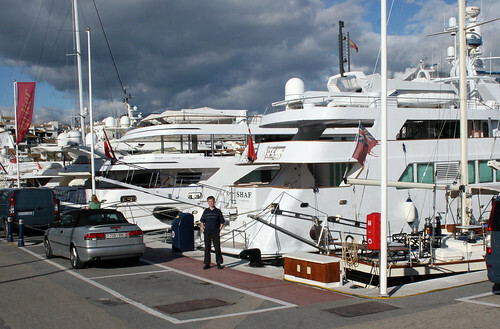 Because the fishing industry is so prominent in Marbella, plus the arrival of the large and affluent yachts, there are four harbours to accommodate all things water-related. Mining was an incredibly important industry for Marbella before tourism arrived, with the iron ore mined from the Sierra Blanca mountains processed here. The appetite for food in Marbella is healthy, with tapas and other traditional foods ever-popular. Jamon Serrano is a type of thinly sliced ham which has been dry-cured and is typical led served in both tapas and other foods. The story of the three kings - Los 3 Reyes - travelling to the Baby Jesus is such an important part of the tale in Marbella that there is a separate day to celebrate it. The 6th January is known as the Day of the Kings, and is celebrated as the occasion when the kings arrived with their gifts of gold, frankincense and myrrh. The importance of this is such that most children in Spain don't have their presents until this day. Standing guard over Marbella is the mountain known as La Concha. With a number of trails which enable hikers to reach the summit, La Concha stands 1200 metres above sea level. The city hasn't always been called Marbella. Under the Romans it was known as Salduba before being renamed as Marbi-la, the root of the modern name. Amidst the partying and the night life, Marbella has a raw beauty in its landscape and can boast of several untouched nature reserves, including Cabopino, where the unspoilt dunes can be found. The Andalucian region, including Marbella, is prized for its olive trees, with Spain being one of the leading producers of olive oil. The trees are now so valued that each one has had its own GPS co-ordinates registered and they are monitored by officials! The beach promenade known as Paseo Maritimo is a whopping 6km long but strolling along its length is a very popular thing to do in Marbella. Marbella is twinned with cities from all over the world, including one in Qatar: Doha. Other twinned cities include Cabourg, France; Miami Beach, United States; Baler, Philippines; Nabeul, Tunisia; Jeddah, Saudi Arabia; Nevers, France; Punta del Este, Uruguay. 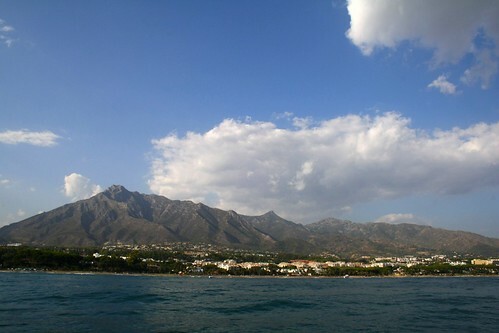 The population of Marbella currently stands at around 135,000, a fifth of who are foreigners. Marbella lies within the Andalucian region of Spain, and has a surface area of 114km, a coastline of 26km and an altitude which lies 22 metres above sea level. Bottled water is booming business in Marbella, with both visitors and residents buying it by the gallon. Safety isn't an issue as the tap water is clean enough to drink but due to the presence of high levels of sodium, it can be extremely bitter and unpleasant to taste. With such a spectacular coastline, and also being the spot where the Atlantic converges with the Mediterranean, it's perhaps not surprising that the underwater world is so popular. Scuba diving is a much-loved pastime in Marbella with a number of schools set up in the area. Virgen del Carmen is the patron saint of fishermen, an industry which is very important to Marbella. On 16th July every year there is a celebration to honour Virgen del Carmen. With such a long stretch of coastline, it's perhaps not surprising that watersports are so popular in Marbella with everything from kite surfing to kayaking on offer to both residents and visitors alike. Marbella may not be blessed with snow but Christmas is still celebrated in style with the lights officially switched on at the beginning of December, and a number of concerts held to celebrate the time of year. The all-important man in red also pays a visit, sitting in his grotto to speak to good children. It would be impossible to mention Marbella without making reference to the luxurious yachts which line the harbour at Puerto Banus or in the marina. Many famous faces can be seen in and around this area, including Roman Abramovitch whose yacht was so huge it couldn't fit into the harbour! Marbella has a number of fascinating zoos and animal parks in close proximity, including one dedicated to crocodiles, another dedicated to wolves and one which takes in animals who have been mistreated or abused.